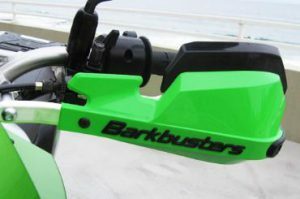 Born in the bush of the Australian outback, Barkbusters Handguards are the name in custom fit handlebar mounted protection. Manufactured by Rideworx since 1984 and originally designed for offroaders, the Barkbusters line has expanded to cover most bikes, providing both off-road and street-wise protection for over 30 years. 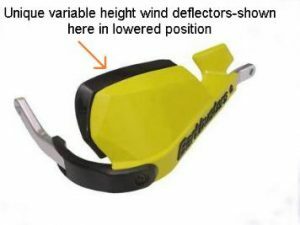 Whether you are bouncing off trees while ripping through the woods or just trying to keep the wind and weather off your hands during your commute, Barkbusters’ comprehensive model specific product line includes functional and stylish options that compliment any ride. 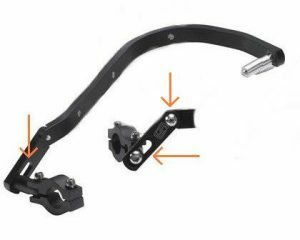 Barkbusters Aluminium backbone motorcycle hand guards are designed for one reason only, bikes fall over, often at less than walking speed. 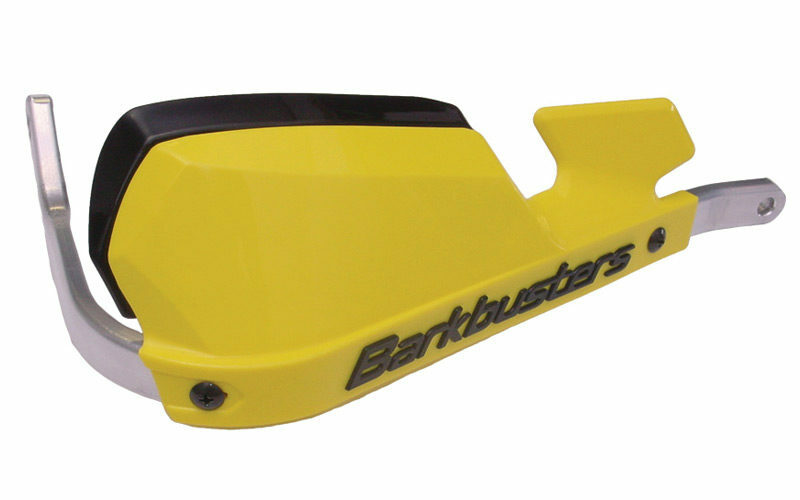 Barkbusters’ hand guards utilize a high strength model-specific aluminium backbone and integrated hand guard to maximize hand and lever protection. Regardless of whether it is a parking lot fall or a spill far from help, clutch and brake levers are exceptionally vulnerable and snap easily on impact. A broken clutch lever, in particular, can mean the end of a tour unless a spare can be found. Even more important are rider’s hands which also require the maximum degree of protection. 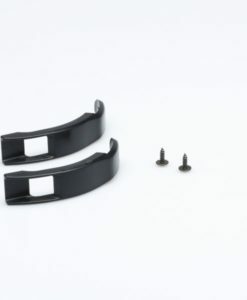 It seems rather odd then that motorcycle manufacturers do not fit a robust set of hand and lever guards to protect these vital elements. 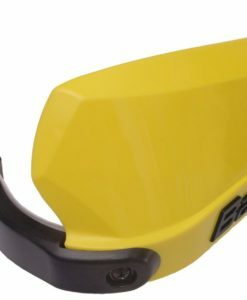 In the main, standard plastic handguards (if any) provided by the manufacturers simply do not provide adequate protection. Furthermore, the cost of replacing broken levers and rear view mirrors tends to be rather exorbitant. 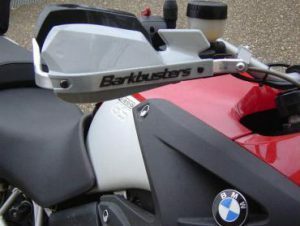 The ultimate protection from Barkbusters utilizes a high strength aluminium backbone and integrated hand guard (with unique variable height wind deflectors) to maximize hand and lever protection. Strength and reliability are unparalleled. 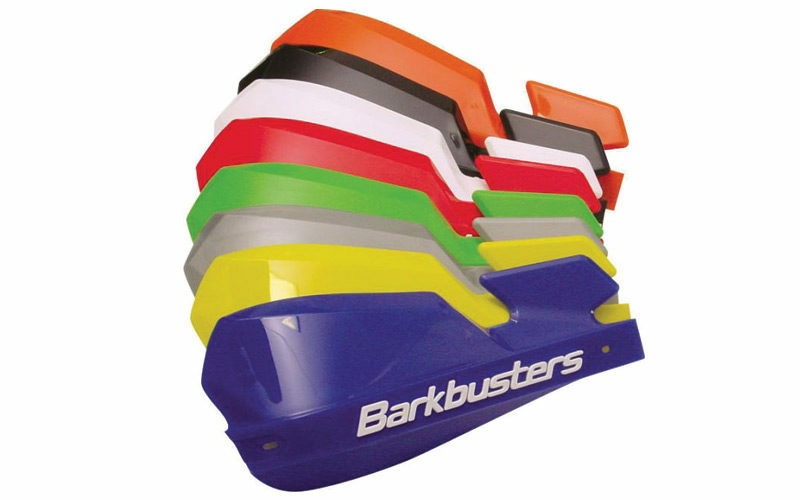 Barkbusters tailor make their products in Australia to be model specific for maximum protection and optimal fit. A Barkbuster kit is not a generic “one size make it fit” scenario but rather a carefully crafted product that will fit your bike with exacting precision! Not all hand guards are made the same. 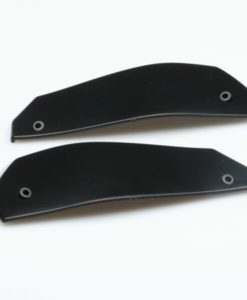 In order to make hand guards fit various models, manufactures scallop out fitment points and introduce articulated joints as pictured to the right. Hand guards fail at these weakened points. Not so with Barkbusters. No joints and no scallops as each hand guard is designed to fit one model only. You can count on Barkbusters when you need it most! What is in a model specific kit? Model Specific Kits are available for the following bikes. Click on the link to buy or to view more info. If you don’t see your bike drop us a line and we will help with which parts you would need.